There are approximately 85 million moms in the U.S. today, with spending power exceeding $3.5 trillion. Moms are the ones making decisions about the cars in the garage, the groceries in the refrigerator, and the clothes worn by everyone in the family. Moms plan vacations and shop for the family pets’ food and toys. Moms typically choose which schools the children attend, which school supplies to buy, and what to put in the kids’ lunches. So if you’re not talking to today’s mom, you’re not reaching the family wallet. Today’s moms have been raised in different eras and shaped by different life experiences. Women are becoming mothers at 18, 35, and even 50. Boomer women are toting toddlers and going back to school at 60. 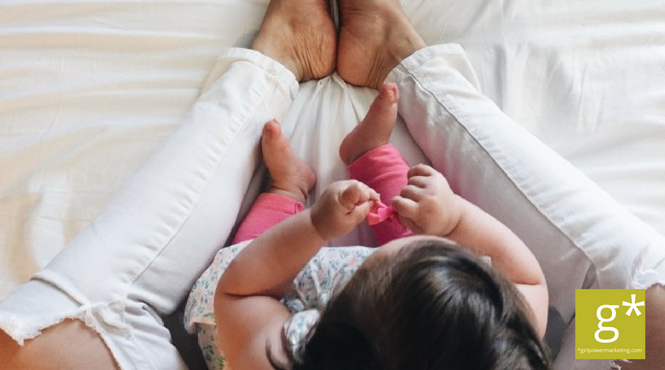 Motherhood is no longer a linear process; it’s less about chronological age and more about life stage. There is no one “mom” type anymore, and your marketing must follow suit. Following is a look at of today’s key mom segments. Millennials are moms now, and 76% of them are in the workforce. They’re earning money to spend on their families and will become even more powerful consumers over time. Millennial moms are quick to admit they don’t know everything. In fact, 62% of Millennial moms give themselves a “B” for motherhood, and they’re okay with that. Ads and social media posts featuring perfect moms making perfect choices aren’t going to resonate with this generation. They like to see other moms struggling and learning—just like they are. The perfect nuclear family stereotype doesn’t apply here either. Up to 61% of Millennial moms are single or unmarried mothers. If your marketing messages include images of mom, dad, two kids and a dog, you’re missing the mark with your messages. Millennial moms are also dealing with family and societal issues that previous generations of moms haven’t dealt with: overachievement, multiple sports, college prep, bullying and cyberbullying, violence at school, and spikes in autism and ADHD. They are living with a lot of doubt as they are trying to do the best they can in this uncharted territory. Finally, Millennial moms integrate technology seamlessly into their lives. They grew up in the world of cell phones, iPads, and the Internet. They use YouTube as a search engine. They blog, test and organize their lives around their devices – managing their lives from the palms of their hands. Make sure your website is mobile-friendly and that it functions properly across all her devices. Gen X moms are the original latchkey generation, coming home from school and staying alone while their Boomer moms worked to have it all. As a result, for many of them, the happiness and stability of their families far outweigh their desire to leave their children to go to work. For this reason, many Generation X moms are also entrepreneurs or have secured work-from-home jobs. They use technology to work from home, managing their own businesses in order to better balance work and family. These moms are just as comfortable with various devices as their younger Millennial counterparts, though they may not adopt them quite as early. Gen X moms are typically more pragmatic and realistic in order to keep life, parenting, and work in balance. These moms aren’t interested in seeing perfection in marketing messages. “Good enough” will do just fine, thank you. Gen-X moms have come to terms with the basic truth that their houses won’t be the cleanest, their food not all homemade, and their careers not as important, and they also expect the same honesty from companies about the promise of their products. They know they’ll likely be paying off student loans for the rest of their lives, and they might have been bitten by the recession in 2008, which makes for more reserved spending—at least on things considered unnecessary. Society tends to define a mom as someone with young children. Moms with older kids are still moms, even if they are empty nesters and their kids are young adults. Boomer moms are sometimes considered the “supermoms,” who have juggled family and work while managing busy, shifting life stages. This group of moms is dealing with major life changes right now — menopause, aging parents, teenagers, empty nests, retirement and even grandchildren. Sadly though, these older moms feel left behind and ignored by marketers. Many feel that once their children become teenagers, they become invisible to brands. And that can be a real mistake for marketers. Because Boomers moms spend the most across all categories, totaling up to $4.75 trillion over the next twenty years. Yet marketers allocate only 5-10% of their marketing dollars to this group of moms. What do Boomer moms want? Outsourced and subscription products are most in demand for this group. Think tutors, handymen, pre-made dinners, home delivery, and college admissions consultants. That’s in addition to other purchases any moms or heads of households would make. There’s no one-size-fits-all mom. No two moms are alike, and the biggest mistake brands make is lumping them all together. The best way to approach the mom market is to think in terms of life stage instead of chronological age. A Gen X mom with a high schooler and a Boomer mom with a high schooler will have more in common than with other moms in their own peer groups who have kids of a different age. And regardless of age segment, moms are all busy and crave simplicity. So create real, compelling stories that provide relatable, relevant content that she can use to make her life easier. Provide online testimonials. Use text messaging as a time saver. Tap into this consumer by really understanding her needs and desires, and then make sure your marketing messages and imagery reflect that. Linda Landers, thanks for the article post.Really thank you! Great.